Founded by local Marin County residents, Tideline is invested in the life and maintenance of the beautiful San Francisco Bay and the life that it supports. Tideline believes that we all have a responsibility to the water, the native species who inhabit the area, and the communities who depend on the Bay. From how we outfit our boats to the partnerships we seek, we’re invested in ongoing sustainability and eco-conscious solutions. 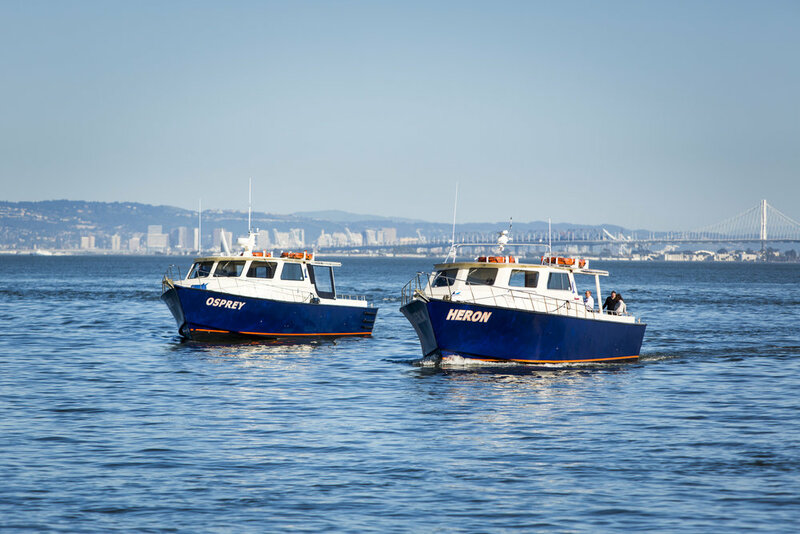 Tideline boats can serve close to 90% of the Bay area without the need for disruptive dredging. All auxiliary components onboard are powered by batteries and an inverter allowing for more efficient use of our engines. Whatever your occasion, our on-demand service can take you and your guests around the San Francisco Bay area. Osprey and Heron were built to endure aggressive sea conditions with the agility to provide a comfortable ride. 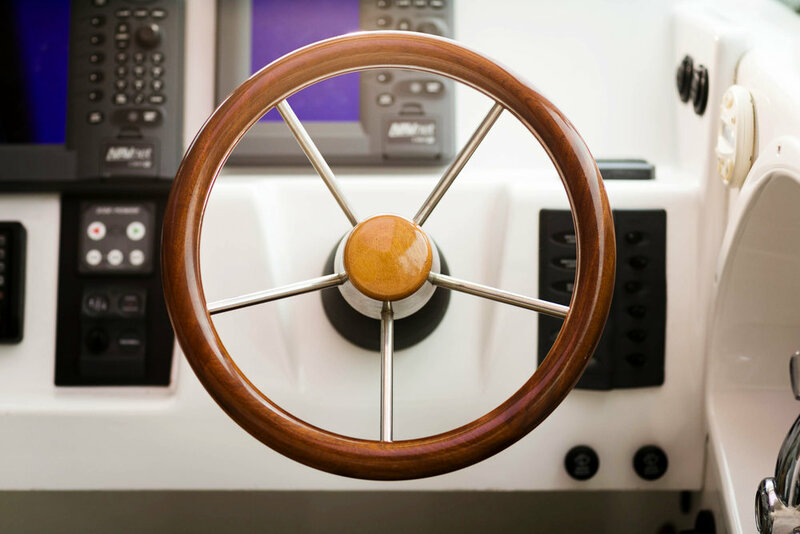 They are much wider than most commercial vessels of the same size, creating added stability and giving riders ample interior and exterior space. The “deadrise” hull construction is not only great for the open seas, as well as the underbody minimizes underwater wake distribution thus lessening our impact on the sensitive ecosystem along our silted seabed.